Altcoins Ethereum Nowa (ETN) and Ethereum Classic Vision (ETCV) are reportedly appropriating the private keys of users trying to redeem their allegedly forked coins. The suspected scam was covered in a report sent to Cointelegraph by the Guarda Wallet development team on Jan. 11. A user on Ethereum block explorer Etherscan has commented on the aforementioned address, asserting that the address is engaging in a “scam [hard] fork/airdrop” after warning “Don’t send anything here.” The tool to claim the coins appears to be a clone of the well-known online Ethereum (ETH) wallet MyEtherWallet (MEW), featuring the original logo, website title and page under a different domain. As Cointelegraph recently reported, a Maltese actor and two hosts of a local TV show have notified the police after a fake news piece indicated that they are involved in a Bitcoin investment scheme called Bitcoin Revolution. Furthermore, the same day, news broke that the Twitter account of a Belgian non-profit was evidently hacked and made into a fake affiliate account of United States crypto exchange Coinbase. On November 4, the group conducted an initial coin offering (ICO) to raise nearly $30 million using Ethereum(ETH) to build a cryptocurrency exchange. In an exclusive interview with CryptoSlate, BlockchainROK founder Heslin Kim stated that the government has not decided whether to completely ban out ICOs or regulate the market. Kim suggested that, as local publications in South Korea have reported, the government will likely release a statement regarding the legalization or the regulatory state of the ICO market by the end of November. Last week, CryptoSlate reported that MapleChange, a small cryptocurrency exchange in Canada, also pulled an exit scam. 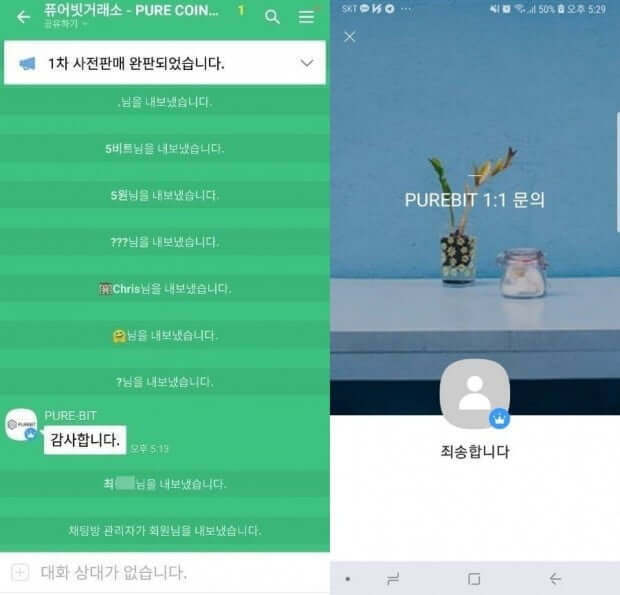 The fraudulent operation of Pure Bit is more of an ICO fraud than a cryptocurrency exchange exit scam, but given that the funds were provided to the company to launch an exchange, Pure Bit has been categorized as a cryptocurrency exchange scam by local investigators. It remains uncertain whether government regulation will improve the ICO ecosystem or prevent fraudulent operations. Investors will need to conduct proper due diligence before investing in projects, especially ICOs that have complete control over the funds that are sent by investors. The Financial Services and Markets Authority (FSMA) has added 21 new websites of suspected cryptocurrency scams to its blacklist. Belgium’s financial regulator published the list on its official website, bringing their tally of suspected crypto scams in the country to 99. The agency found that despite their prior warnings concerning the risks associated with crypto investments, Belgium is witnessing a growth in online fraud cases. Among the blacklisted companies, many are offering financial services without complying with the Belgian financial legislation. Moreover, the listed firms are also involved in attracting victims to their allegedly fake investment schemes. The blacklisted firms cannot be charged in Belgium for falling outside the jurisdiction of FSMA, the details revealed. Agence Des Analystes Financiers, for instance, is one of the denounced companies in the list but is reportedly based in Germany. Another firm BK-COIN appears to have offices in cities all across the world, including London, Tokyo, Meyrin, and Paris, the validity of which remains unconfirmed. Similarly, firms mentioned in the FSMA blacklist are appearing to operate from all around the globe but Belgium. Nevertheless, the agency has requested investors always to verify the companies with the concerned regulatory agencies. 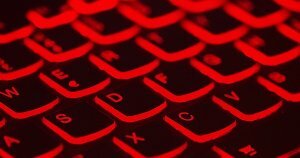 The advisory specified that FSMA couldn’t charge websites active in the cryptocurrency space in the absence of legal supervision, but an alert could still minimize the risks. “All these promises are worthless, however: if an offer is fraudulent, the promises that accompany it are equally so,” the FSMA added. Readers can find the FSMA crypto blacklist here. Cybersecurity company Recorded Future has released a lengthy expose claiming that North Korea uses cryptocurrency to skirt U.S.-imposed economic sanctions alongside a shady network of collaborators and enablers in Singapore. The company claims that in addition to mining coins like bitcoin and monero, North Korean leaders have also been involved in promoting cryptocurrency scams that have bilked investors around the world of millions of dollars. North Korea’s use of cutting edge technology to get around the effects of economic sanctions imposed on Kim Jong Un’s regime is well documented. In September, CCN reported that Washington-based financial experts Lourdes Miranda and Ross Delston accused North Korea of using crypto mining and coin scams as means of generating revenue. Earlier this month, CCN also reported that a notorious North Korean hacker group called “Lazarus” is responsible for the theft of more than $571 million in cryptocurrency. The Recorded Future report claims that North Korean leaders mine bitcoin and monero at a relatively small scale, with the bulk of their efforts in the cryptocurrency space from the first quarter of 2018 to date now focused on exploiting growing worldwide crypto awareness for the purpose of launching investment scams. Two coins in particular are identified as North Korean scam projects, namely HOLD coin and Marine Chain. HOLD Coin, also previously known as Interstellar, HUZU and Stellar (not to be confused with XLM) used a fraudulent staking scheme to collect investor money, having been variously listed and delisted across a number of exchanges before disappearing with all funds. Marine Chain on the other hand, was part of a more sophisticated scam that runs right to the heart of the North Korean government’s ability to consistently diminish the effectiveness of UN-imposed economic sanctions that would ordinarily cripple the regime. Billed as a tokenisation framework for maritime vessels, an investigation by Recorded Future into Marine Chain revealed a complex network linked to Singapore with potentially far-reaching implications for cybersecurity in Southeast Asia. According to information gleaned from LinkedIn, an advisor called HyoMong Choi and the CEO of Marine Chain, Captain Jonathan Foong Kah Keong are the key figres in Marince Chain’s fradulent activities. Capt. Foong reportedly has connections to Singaporean companies that facilitate North Korean activities designed to circumvent U.N. sanctions. Activities these companies have been involved in include manipulating flag registries for three countries to give prohibited North Korean vessels the ability to sail under flags of convenience. This means that more than just being a run-of-the-mill cryptocurrency scammer, Capt. Foong is actually part of the key strategy employed by the North Korean regime to skirt sanctions that should ordinarily make it the most isolated regime on earth, and keep itself in power. The appearance of Capt. Foong in the context of North Korean crypto scams is significant of a wider pivot in the regime’s criminal activities as it looks to harness the possibilities presented by a new wave of technology including blockchain technology. 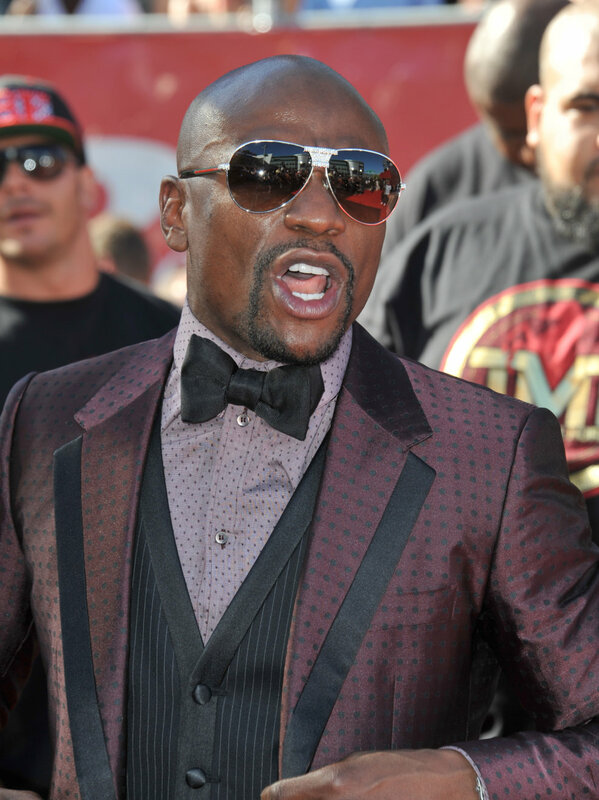 Around the time Centra’s ICO was going live, Mayweather also Tweetedhow followers should get CTR tokens “before they sell out.” The famous boxer said he “got mine” in the same Tweet. The alleged mastermind of the bitcoin fraud scheme which saw a Finnish investor lose 5,564 bitcoins in Thailand has been arrested. Prinya Jaravijit, who is the principal suspect in swindling Finnish national Aarni Otava Saarimma out of bitcoin worth 797 million baht (approximately US$24 million) was arrested at Bangkok’s Suvarnabhumi Airport on October 11, according to the Bangkok Post. The alleged mastermind of the fraudulent scheme had been living in the United States where he fled to after the arrest of his younger brother, Thai television actor Jiratpisit Jaravijit aka Boom, who was also implicated in the conspiracy. After interrogation by Thailand’s Crime Suppression Division, Prinya was taken to court early Friday where the police raised objections to his bail arguing that he was a flight risk. Prinya faces two charges of colluding in fraud and colluding in money-laundering. The arrest comes nearly a month after Prinya was issued with a surrender order. As reported by CCN, the Criminal Suppression Division had given Prinya until September 17 to surrender but he remained at large. Prior to the surrender order, Prinya had been asked to avail himself for interrogation on September 14 but he failed to show up. This led the Crime Suppression Division to issue a warning to the effect that extradition proceedings would be initiated if Prinya continued to disregard summons. “The suspect was then asked to come in on Monday and if he still ignores it, relevant agencies will be contacted to try to bring him back to face prosecution,” the deputy commander of the Crime Suppression Division, Chakrit Sawasdee, said then. Earlier this week it was revealed that Thailand’s foreign ministry had revoked Prinya’s passport and this was done at the request of the Crime Suppression Division. This rendered Prinya’s stay in the United States untenable since he wasn’t in possession of a valid passport. With his passport revoked, his travel back to his homeland was facilitated by the Thai embassy in the United States. While the case in which Prinya and his accomplices are accused of inviting the Finnish investor to put his money in a range of investments including publicly listed companies had initially even roped in a prominent Thai stock trader, Prasit Srisuwan and a technology entrepreneur, Chakris Ahmad, now the suspects’ list is largely composed of members of the Jaravijit family. This is after Saarimaa reached a settlement with the two businessmen. Besides his younger celebrity brother, Jiratpisit, other members of the Jaravijit family who are now suspects include Prinya’s younger sister, Supitcha. Additionally, Prinya’s parents and his older brother, Tanasit, are scheduled to appear in court next week to answer to charges of money laundering.